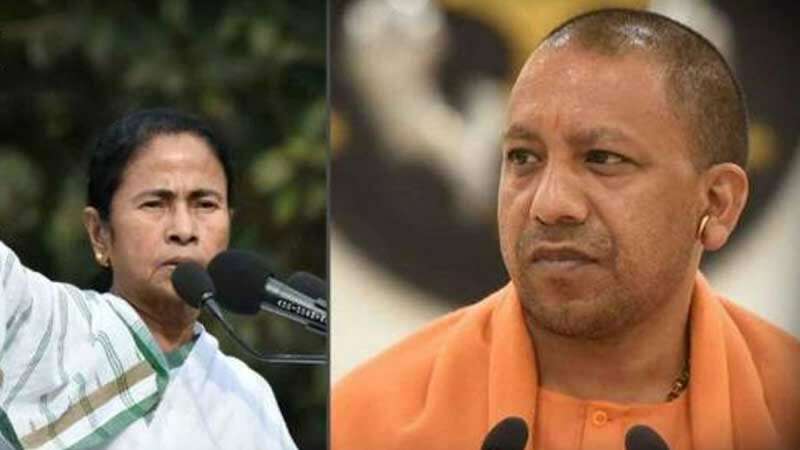 Purulia : West Bengal Chief Minister Mamata Banerjee on Tuesday attacked Yogi Adityanath, who addressed a rally in Purulia, advising the Bharatiya Janata Party leader to "manage Uttar Pradesh first" where “many people including a police officer have been killed”. “If he contests (election) today, he will lose. He does not have a place in UP to contest, so he is roaming around in Bengal. Let him roam,” Banerjee said in Kolkata on the third day of her sit-in against the Narendra Modi government after a team of Central Bureau of Investigation reached Kolkata to question city police commission Rajeev Kumar in connection with a chit fund scam case. Denied permission to land in Purulia, Yogi Adityanath on Tuesday landed in BJP-rules Bokaro, travelled 50-odd kilometres to reach Purulia and hold his scheduled rally.